Can you tell I have been busy? Things are starting to slow down, I just moved from my apartment into a house about an hour form where I used to be, hired new employees at the salon (had to train them), adjusted to my new commute, did Thanksgiving, and decorated for my favorite holiday of the year Christmas! Hopefully your holiday season has been a little less hectic than my own so far! One of my favorite things about the holidays is the SALES! Black Friday and Cyber Monday offer great opportunities to buy for friends and family, and stock up for yourself! Here are my favorite Cyber Monday deals today! You are welcome beautiful! In addition to their Holiday Boutique package deals, they now have 3 AMAZING deals! Click here to see all the package deals as well as to snag these three amazing steals! Pur carries some incredible cruelty Free more natural cosmetics and skin care! I am seriously in love with their shadow palettes and their moisturizer, as well as their setting spray! Buy one get one FREE with the code BOGO2016 is on today only! Click here to take advanatge of this amazing offer and to browse the Pur Website! 20% off site wide! I am all in! PLUS Free shipping on orders of $40 or more! 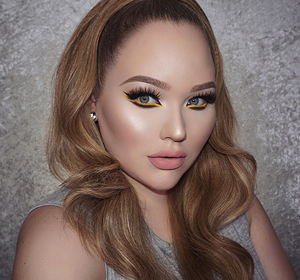 I am in love with her Matte Liquid lips and have heard rave reviews about the Kyshadow Palettes! I love her creamy non-sticky glosses too! I have already made my order have you? 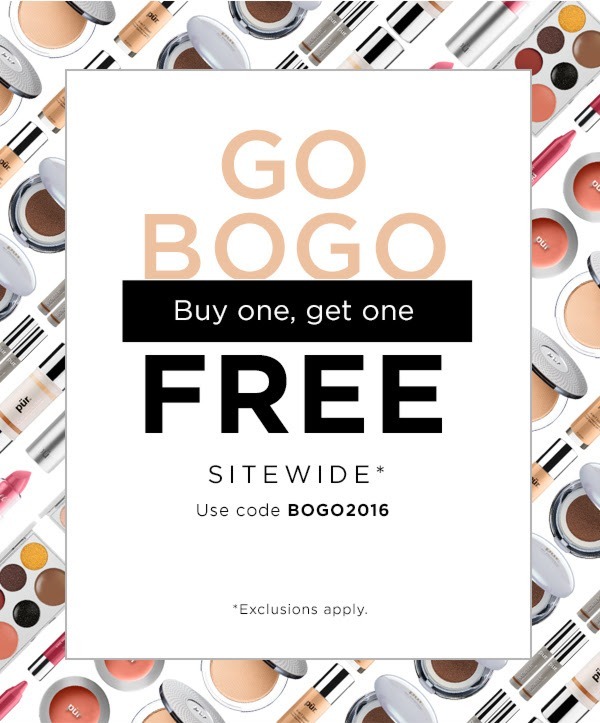 Click here to go to the Kylie Cosmetics website and snag what you can! I overall adore this product! This is a must have for any girl with short or textured hair! It feels like a thick paste, but it isn't sticky. It's easy to work through your hair and it holds really well without drying into this hard, plastic, immobile frame. A little goes a long way, and it comes in a pump for easy control of how much product you are using. It also has a wide base so it doesn't tip over! And to top it all off it smells like cherry-chocolates! This product is across-the-board great! This is one of my go-to products that I can't get enough of! Let me break down each part to you. First of all we all know I love Kenra's packaging. Their platinum line especially looks expensive, it's functional and it's durable. This particular product has a kind of floral scent, which I am usually not a fan of. However it is a light crisp one and it doesn't linger, and it smells great. Floral that doesn't scream old-lady to me is hard to find, but I love the fragrance in this. This product adds volume, but not a ton. Which is how I personally like it, but if you want a lot of volume either a n additional root lifter or a little backcombing may be necessary. A little goes a long way so you'll have this can for ages, and lastly it gives texture. So much texture! It take fallen curls to beachy waves in seconds! I love it! I have had a million emails asking me to state my opinion on some beauty guru drama. Here is the deal, I don't do drama. I want to stay in my little corner of the internet with my incredible cult followers and live a happy life. I do not feel the need to slam other bloggers or you-tubers in the hopes of getting my name dropped to get more site traffic. That is not who I am. So I am going to give a few quick comments on some issues and drama that has been going on. Like seriously quick. I have always had issues with Jeffree Star. I think he is funny, and talented. I also think he is arrogant and rude. He has tried to get into the lime light a million different ways and beauty vlogging is just the one that clicked. I have seen him dis products I love and promote products I don't like at all, so I feel he can be bought if that makes sense, although it could just be a matter of taste (and I get that). I think the whole Kat Von D drama (which you can read in detail about here) catalyst a bunch of nasty comments about him that were unwarranted, but some that were also warranted. I also do have a good friend who has personally met Star and who fan-girled for a second over him and was met with a very rude and cold comeback. My dear friend (who shall remain nameless) said Star treated him like he wasn't famous enough for Star to care about and was even ignored when speaking to him. My friend didn't meet Star at an event, he met him through a friend who knew Jeffree before his youtube success. I think it is apparent that Jeffree has a diva attitude, which some love. I don't. That is just me. I also think he sells subpar products and I am just not a fan. You can read about his latest Lipstick launch here. 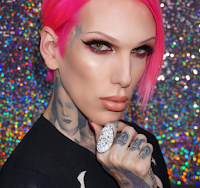 So the big scandal here is that after all of youtube blasted Jeffree Star for being racist, a bully and generally horrible, Nikkie (as well as Manny MUA) supported him. To me, questioning her loyalty is dumb. Like you have to stick up for your people. If her and Star are friends why wouldn't she have stuck up for him? Even arrogant people can be nice to their friends. I will however comment on the fact that her recent palette collab with Too Faced was awful. These brands keep collaborating with vloggers and stars, but they do not use the same high quality formulas that they are known and loved for. It is always so disappointing. My issue with this one is that Nikkie swatched the palette and threw it all over the internet as advertising. She did not care when people called her out for false advertising (as the swatches she showed were no where near close to the ones others have posted) and she ignored the disappointment of fans who were bothered that she promoted such a crappy palette. The palette is over all really crummy. I just think she should have been honest with her fans or told Too Faced to step it up. That is my opinion. When something similar happened with Jaclyn Hill and her collab with Becca she refunded the buyers! 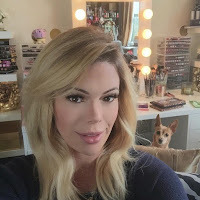 no refunds form Nikkie though, although I am sure Ulta and Sephora got a ton of returns for it. Stephanie Nicole is known for being opinionated. She has a really relaxed personality, but she rarely gets items sent to her for free that she agrees to promote like these other vloggers do. I love that she always talks about shipping times in her videos and the process of checking out. She also talks about the price per gram of makeup which is something most don't think about, but I love that she does. She has gotten some backlash for speaking out against Jeffree Star (and all those who support him) as well as Kylie Cosmetics, Morphe, and a few other big brands. I like her. I think she is real and honest. She never holds back which I like. But she is still curt. She doesn't swear at them and attack their mothers or anything like that. I appreciate that she just sticks to facts. I just like her realness. I don't like every blogger.vlogger out there, but when they stoop to tantrums it is just ridiculous. I never have to worry about a tantrum with Stephanie. I am going to link Stephanie Nicole's you tube vlog here because I think she is awesome and I would love to give her any traffic I can. Check her channel out here. That's it. That is all I am saying about these three. Do what you will with it.